Orange France plans to have at least 6 Android devices from five handset manufacturers, including Motorola, Samsung, LG, and Sony Ericsson.Â Oh yeah, we can’t forget HTC’s G1!Â All five phone makers are members of the Open Handset Alliance. French website mobinaute (translated) is reporting that an Orange France rep said their G1 owners will see the Cupcake update in late April, followed a few weeks later by a second, major update. 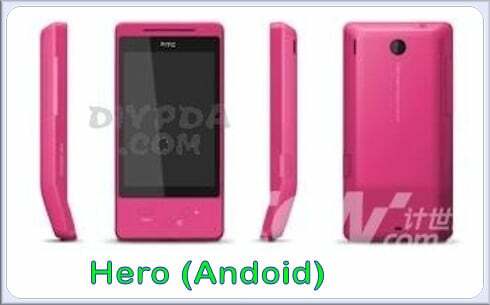 Also expected from Orange France is HTC’s Hero.Â This handset was among the leaked handsets from the HTC 2009 roadmap. The article also refers to the 30% revenue that split among Google and the carriers.Â Apparently, Orange likes it quite a bit saying, “Google is pretty generous revenue sharing.”Â Wonder what other carriers think?